Our brand new Boutique Harness line is built on our Ruffle Harnesses, but adds additional styling with an appliqué and other design elements. 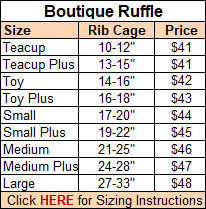 The ruffle is hand made with a smooth, soft inner surface so it doesn't irritate the dog or mat her coat. The appliqué is attached to the top of the harness strapping. Visit this page to view close-up photos of our beautiful Boutique designs. Note that our Sizes do NOT match those of other manufacturers, so please measure your pet carefully. It will save you from returning the harness for a different size. Need help finding the right size? 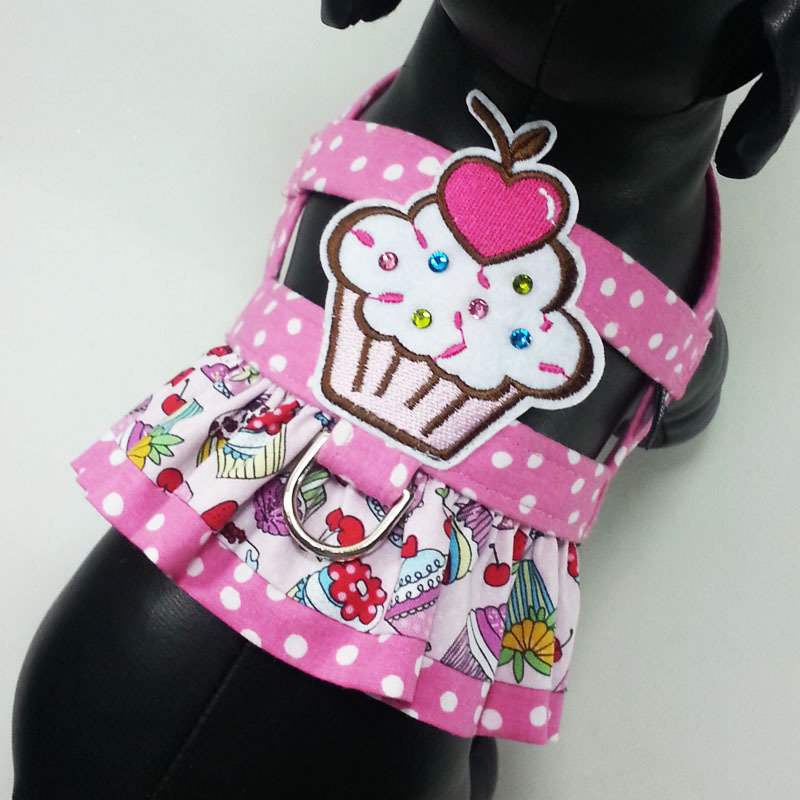 Visit the Harness Sizing page to find the perfect fit for your dog. See how easy it is to use our "Easy-On" Harness! All UDogU "Easy-On" Harnesses are designed for your small dog's comfort and safety. They are also easy for you to use. Over the head, snap underneath to close. That's it! 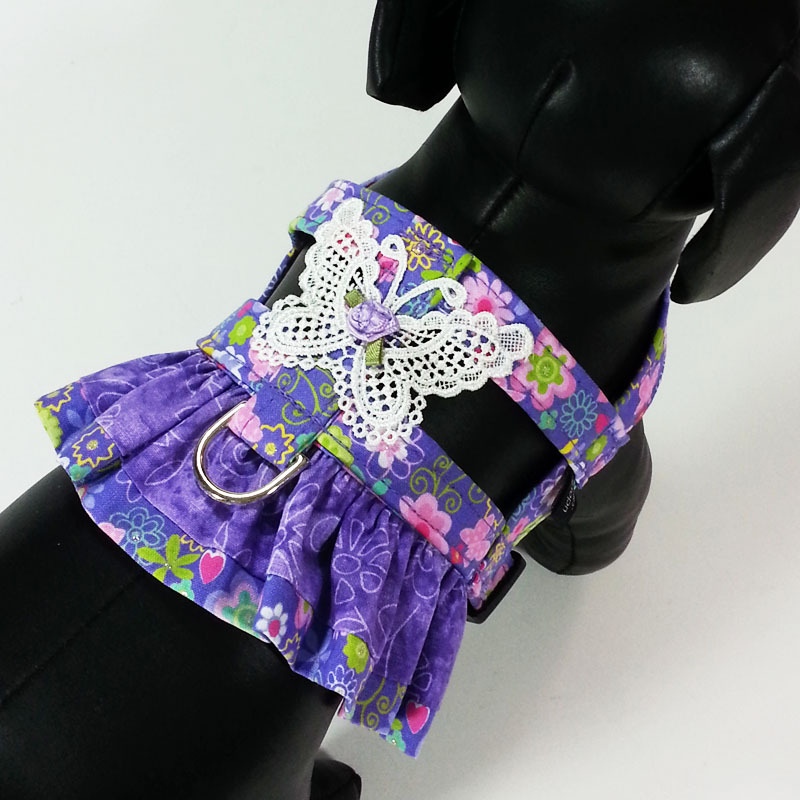 Our Service Dog Harnesses are now available in all of our fabrics, 9 sizes, with your choice of 3 patches, and an optional ruffle! See the complete selection of Service Dog Harnesses here!